CR Magnetics, Inc. has been in operation since 1986, and is centrally located in St. Louis, Missouri, where we maintain a 40,000 square foot manufacturing facility and warehouse. CR Magnetics also maintains manufacturing and sales offices worldwide, including East Asia, Europe, and the Americas. CR Magnetic's philosophy is to provide a complete line of products and components that enables our customers to solve the challenges they face in an ever changing competitive environment. With rising energy costs and shrinking margins, maintaining efficiencies of operations, processes, and capital equipment is of utmost concern to today’s Industrial and Equipment Engineer. While we strive to provide the most cost effective and sophisticated products available, we also provide expert engineering assistance when our customers are working on tough applications. 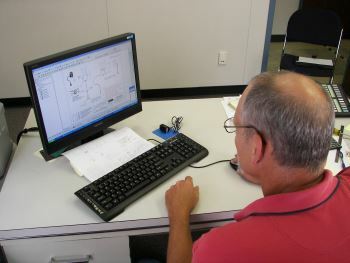 Our OEM support is also a primary advantage, giving OEM’s access to low cost production for custom designs. Recognizing the need for more products and improved customer support, CR Magnetics, Inc. is now a wholly owned subsidiary of Khorporate Holdings, Inc. family of companies. The Khorporate Holdings, Inc. companies are respected leaders in their industries for over 40 years. Their expertise in distribution, customer service, and manufacturing will only help CR Magnetics continue to provide top quality products, quickly and at a competitive price. CR Magnetics, Inc. has adopted the ISO9001:2008 Quality Management System. Today, CR Magnetics provides a complete line of sensors, transducers, and components needed in today’s industry. Our new Current Mark Indicators and Displays are further evidence of our continued excellence. Our full line of Analog Transducers, ANSI and Commercial Grade Current Transformers, Medium Voltage Products, Power Meter and General Purpose components provide any user the tools they need to improve any application. Our engineers are ready to answer any questions, and we won’t rest until we get the right product for the right job at the right price. Give us a call today, and find out why CR Magnetics are the Professional Energy Monitoring experts. CR Magnetics staff includes engineering and technical professionals who bring a century’s worth of experience in the electrical monitoring and power measurement industry. This experience provides our customers with solutions in solving the most difficult application challenge. Our fully NIST traceable lab consists of six testing stations, each with laboratory grade closed loop controlled power system references that are used to provide exacting baseline inputs for proper calibration of all our products. These stations can create the identical situation faced in the field by our customers, including any voltage, current, or frequency level. The shape and form of these signals can also be adjusted to provide data on how our products react in these situations. CR Magnetics also maintains the proper power meter testing equipment which is designed to meet the parallellogram method of the ANSI grade meters, as well as an engineering based test system to verify absolute phase angle shifts with initial inductance measurement of our sensing transformers. These stations are specifically designed to provide the correct specifications for our products when applied in unique or common applications. 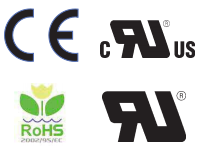 All CR Magnetics parts meet the lead-free and other dangerous chemical requirements of RoHS. Our most popular products carry CE, UL, and CSA certifications. Our facilities also include the necessary equipment including high-pot testing, environmental testing, and load testing to be able to provide our customers the information and source they need when exploring custom solutions that require agency approvals. Our experience in working with certified bodies make implementing new and exciting monitoring schemes much easier and quicker. CR Magnetics staff includes quality monitoring and assurance personnel. These personnel have no other function than to make sure our products are maintained with the highest quality level possible. All quality issues are tabulated from customers, employees, and suppliers. Documentation maintained includes customer complaints, corrective actions, and fully traceable materials from supplier through customer. Statistical process control is utilized in the winding, potting, and calibration areas, controlled by documented setups, and re-verified on a regular basis. All procedures are maintained and referenced in an industry standard quality manual.